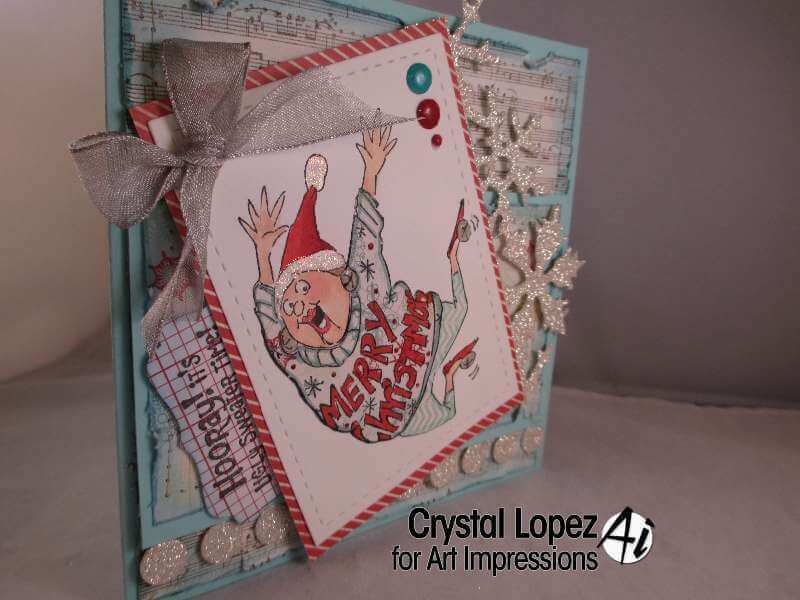 It’s Crystal here with a Christmas card , yes it’s time to get started making them and Ai just launched several new images to play with , you are really going to need to add the Ugly Sweater Set SKU # UM4350. you do not need to color the outfit if you don’t want to , I did some paper piecing here and then colored in the letters on her sweater , I also added some glitter to hat . 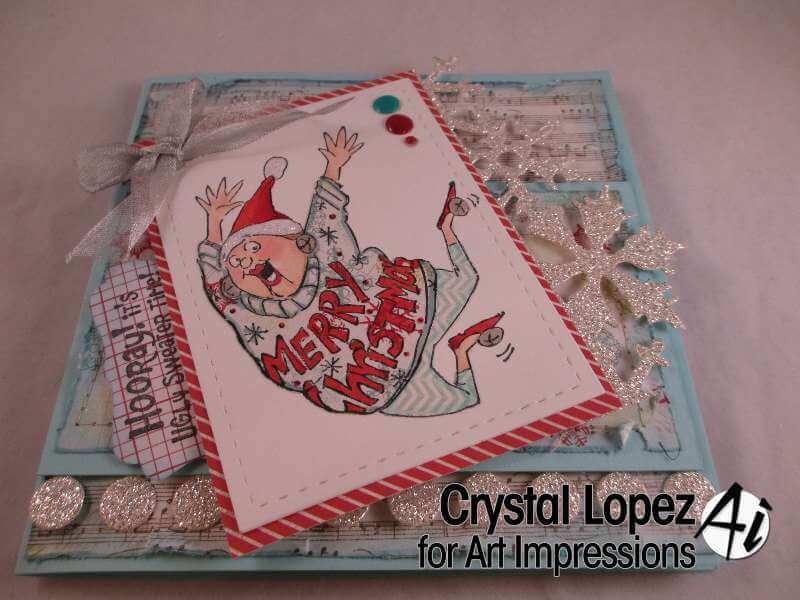 Inside my card I used the glitter CS negative pc from my die cut I used on the front of my card , use your trash.. I hope you enjoyed this creation , did it make you want this must have stamp ? 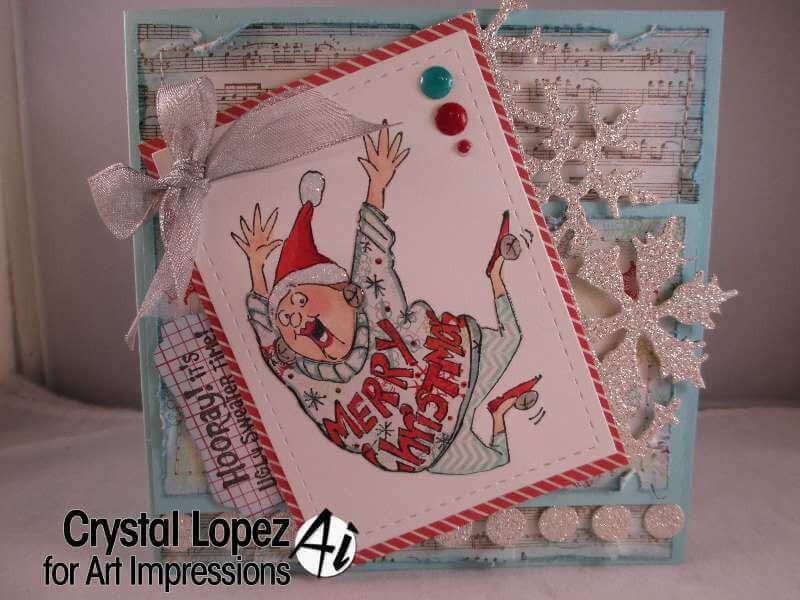 Tomorrow we have more inspiration using the new Christmas collection , be sure to come back and play in our challenge too.